The range of Pasting Machines we offer is exhaustively used for applying glue to the corrugated sheet and board. We provide a range of models as per the working area. The pasting machine is manufactured from quality raw material that is sourced from trusted vendors in the market. Our team of professionals work towards making quality pasting machines at the most competitive prices. 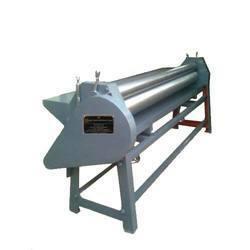 We manufacture, export and supply an array of Sheet Pasting Machines that is in high demand in the competitive market. The sheet pasting machine is useful for applying glue on the tip of the corrugation sheets to make 3, 5, 7 ply corrugated board. It is integrated with hard chromed rollers, which provides smooth finish for the even lamination of the boards and the improved quality at competitive prices.